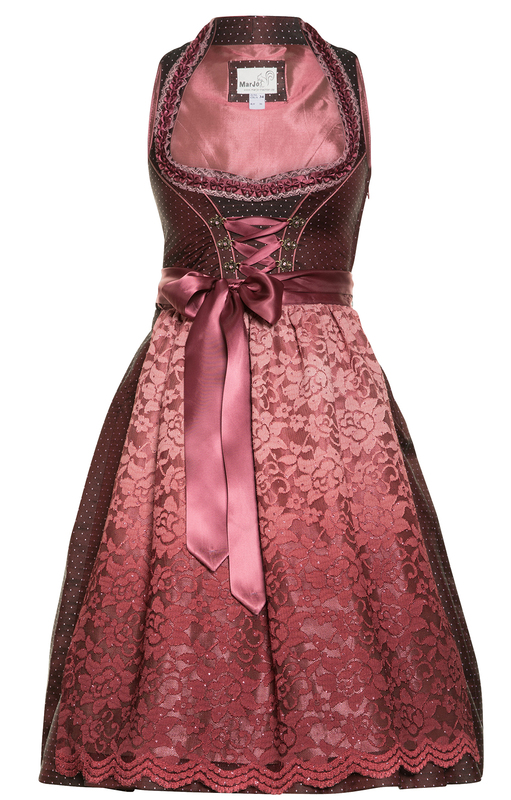 A dirndl to fall in love with. Expressive and elegant. 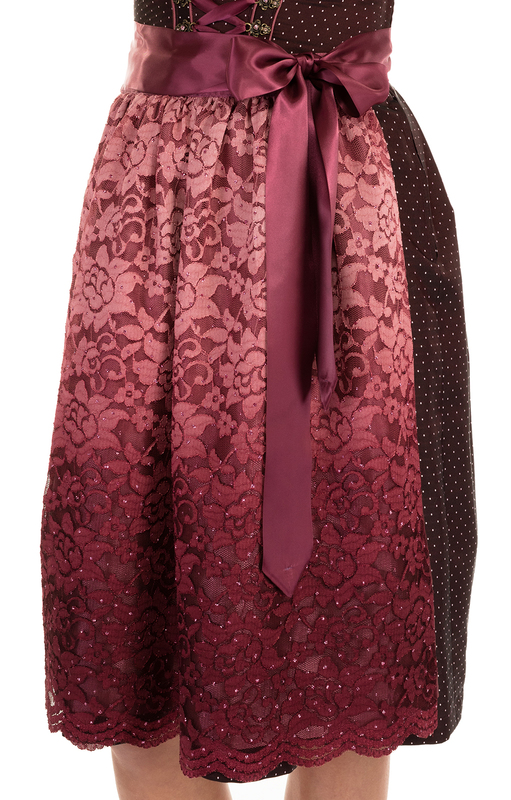 midi dirndl in 65cm skirt length from the brand collection Marjo Traditional. 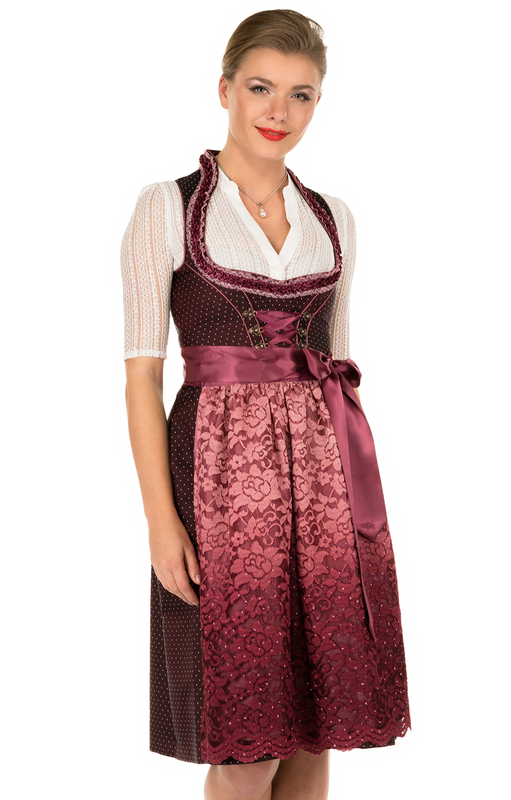 The wild berry colour inspires and makes this dirndl a real highlight. The outer fabric is proven in the summer out of 100% pure cotton. This means: They always have a pleasant cool under this Dirndl, even if it gets hot. Because the cotton has a high temperature balancing effect. 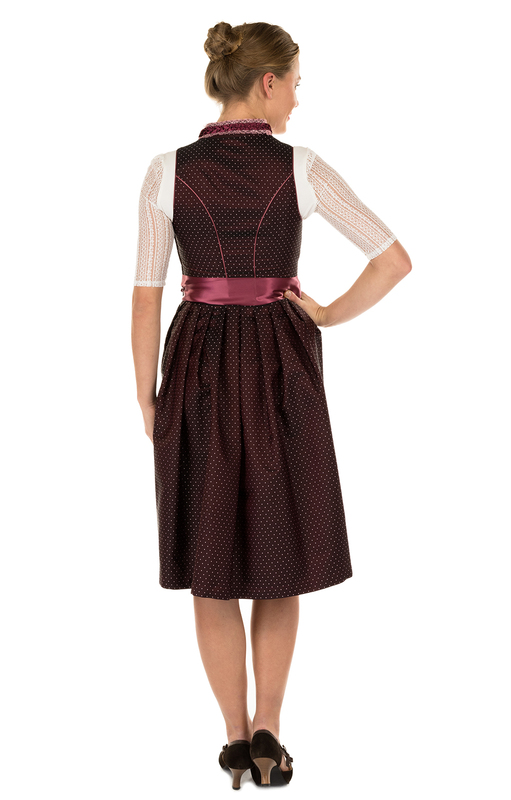 The polka-dot design loosens up and the trim panelling of this midi dirndl makes for a very nice neckline. The brass-coloured bodice eyelets are studded with a pink rhinestone and show the quality of this feature in every detail. The apron is worked in a Devoré fabric, which is also provided with small rhinestones. The colour changes slightly after light and changes from something lighter to something darker red. 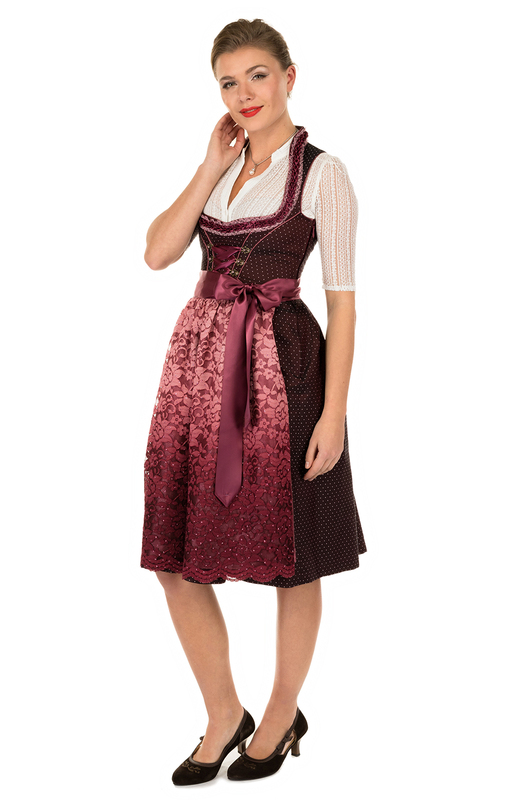 This midi dirndl of Marjo can carry you on all occasions.